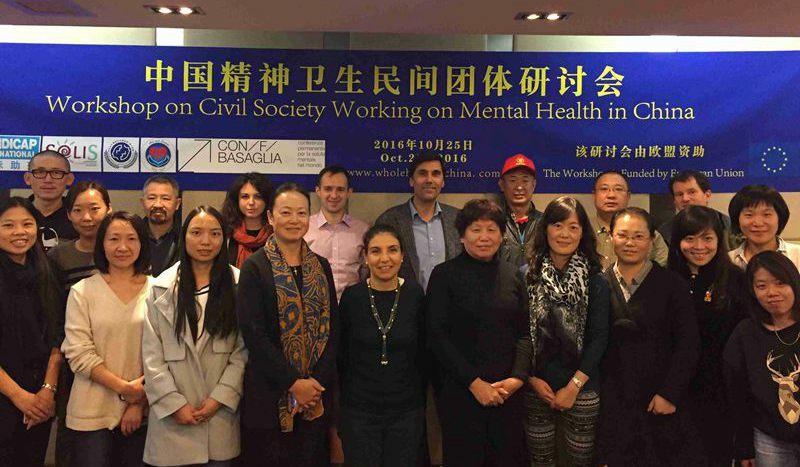 On Oct 25th, Handicap International and AIFO have organized the first joint Workshop on Chinese Civil Society Organizations Working on Mental Health. 18 participants from 10 organizations of service providers, NGOs, rehabilitation and art centers from different provinces have gathered in Beijing to share their working experiences and to launch the website www.wholehearted.com created by HI, AIFO and Basic Needs to facilitate information sharing and public advocacy. This initiative is part of the first Mental Health project launched by HI in China in early 2016 and supported by the EU and FCO. On the same day, HI has also established the National Steering Committee of the project.